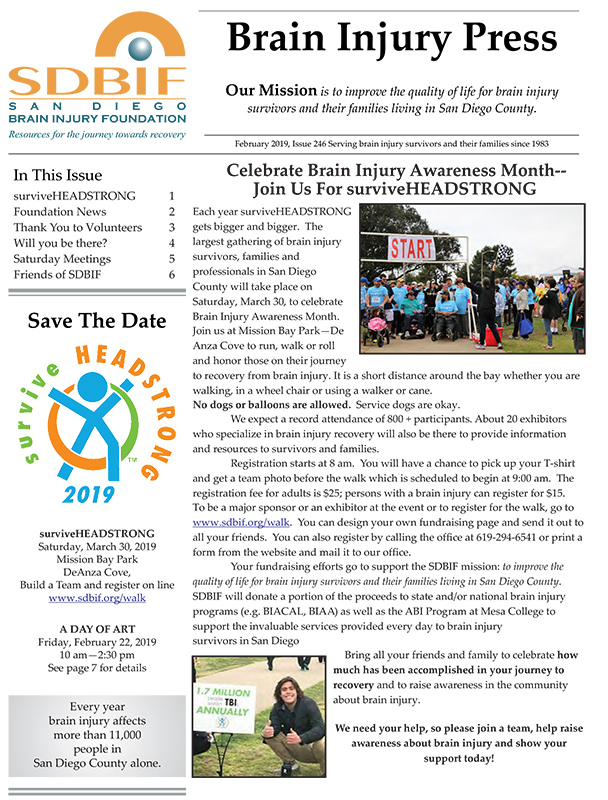 Click on the image below to read the San Diego Brain Injury Foundation Newsletter – February 2019 issue of Brain Injury Press on-line (PDF 2.1 MB). Read, save, or print out past issues of the Brain Injury Press newsletter in Adobe’s PDF format. Click on the Adobe logo to download the reader from their site for free. PDF is the Newsletter download format.